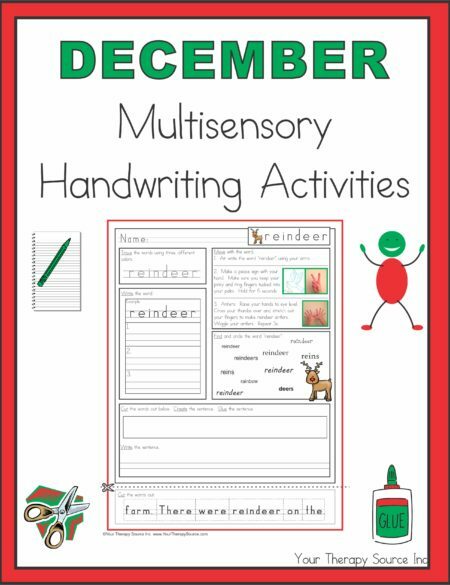 Pre-Handwriting Fruits Vegetables Garden and Snacks provides fun & engaging handwriting readiness skill instruction and practice activities. 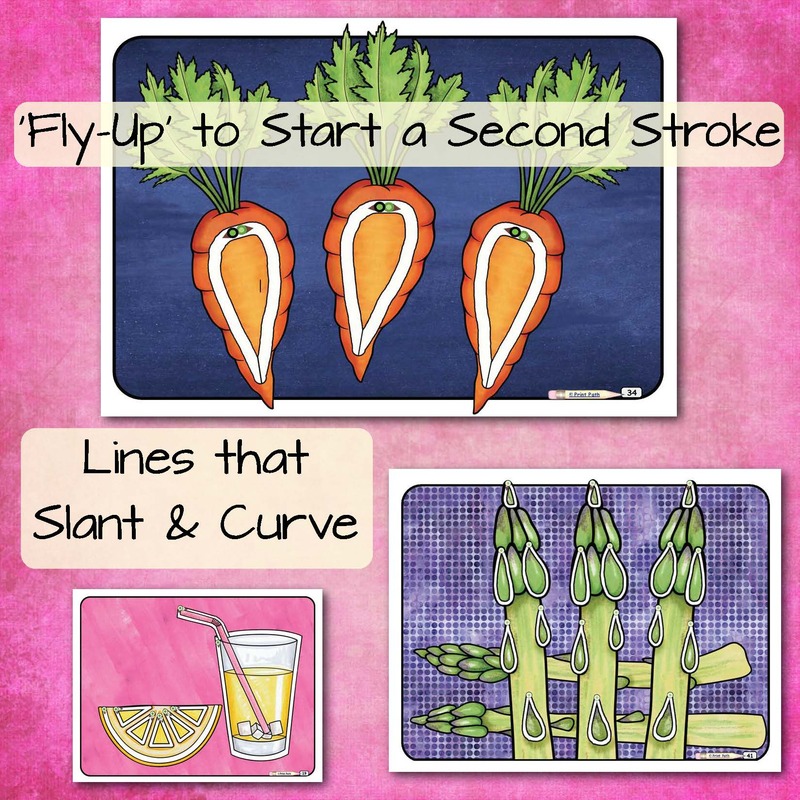 Fruit & vegetable themed path-tracing activities to help your students learn eight key pre-writing skills. 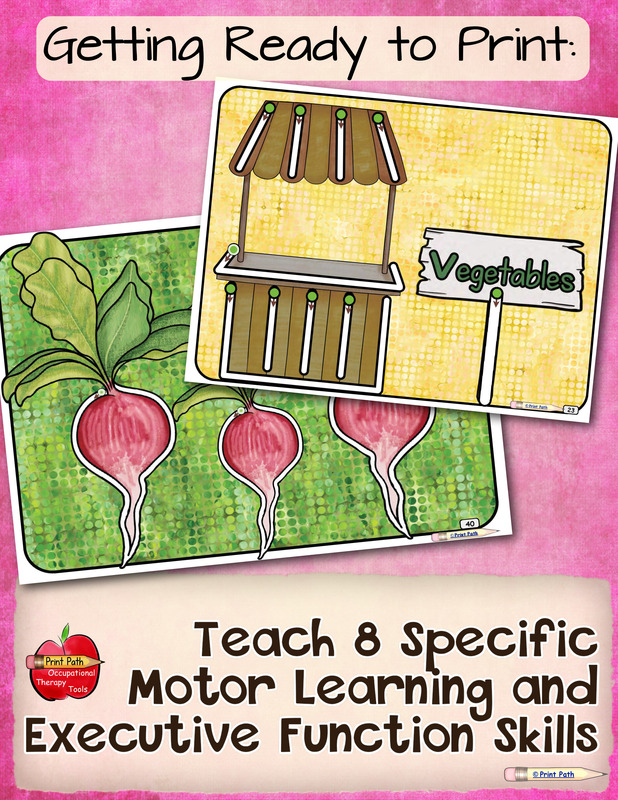 Teach your students eight specific motor learning & executive function skills needed for successfully learning to print. 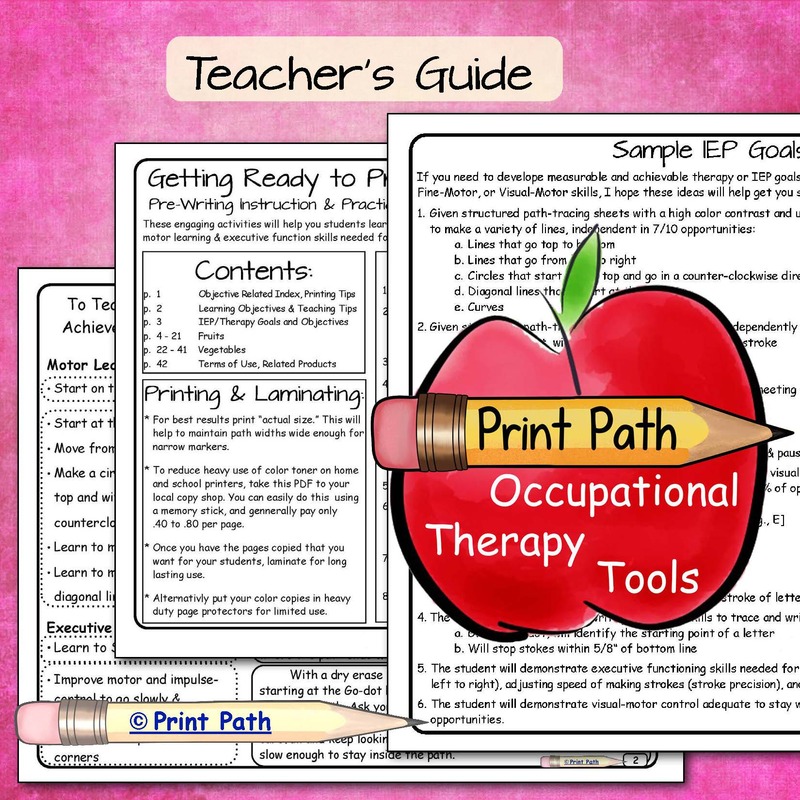 This digital download was created by school-based Occupational Therapy, Thia Triggs. 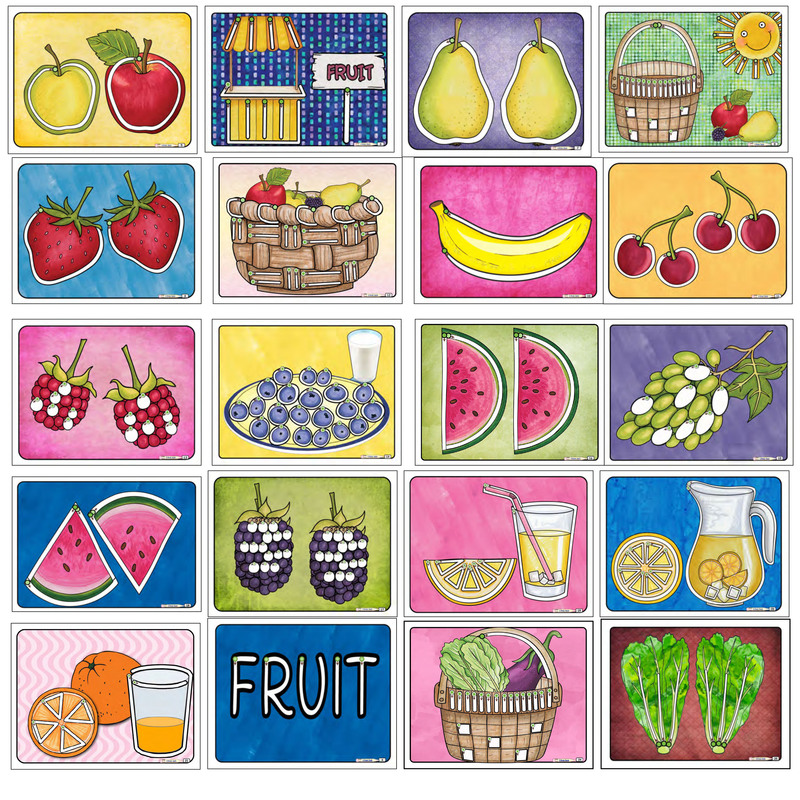 Pre-Handwriting Fruits Vegetables Garden and Snacks will be delivered electronically immediately following payment. 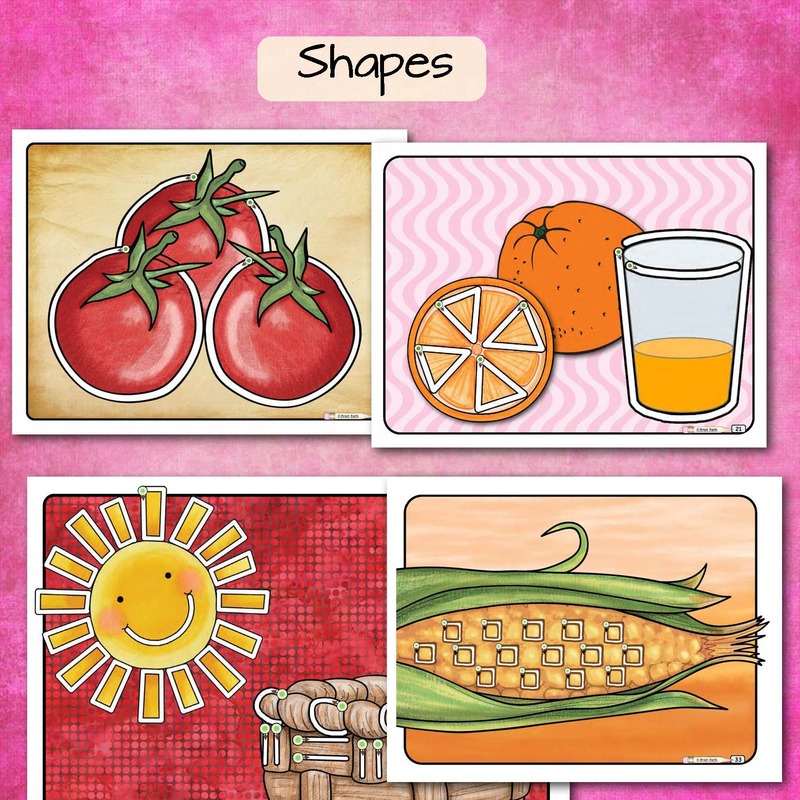 ➜ Increasing enthusiasm and acceptance of Farm Fresh Snacks. 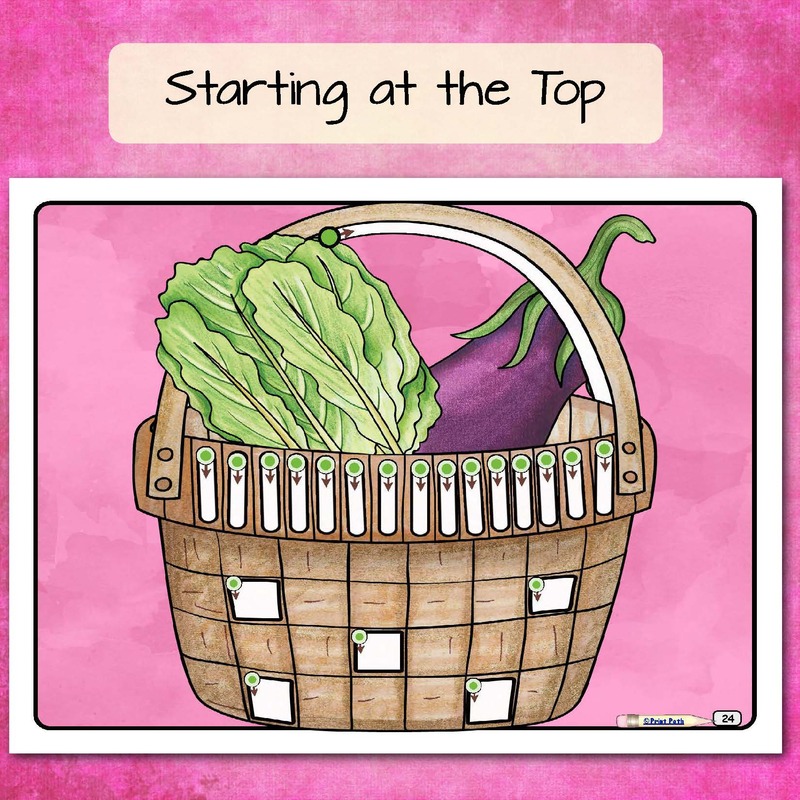 ➜ Supplementing your School Garden projects. 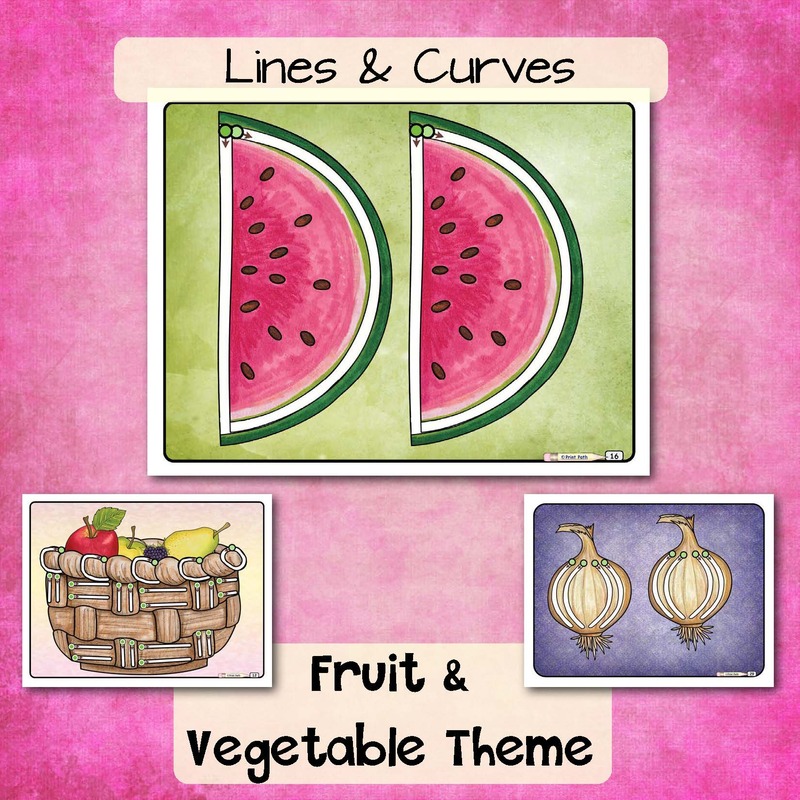 ➜ Coordinating with your Fruit and Vegetable Theme. 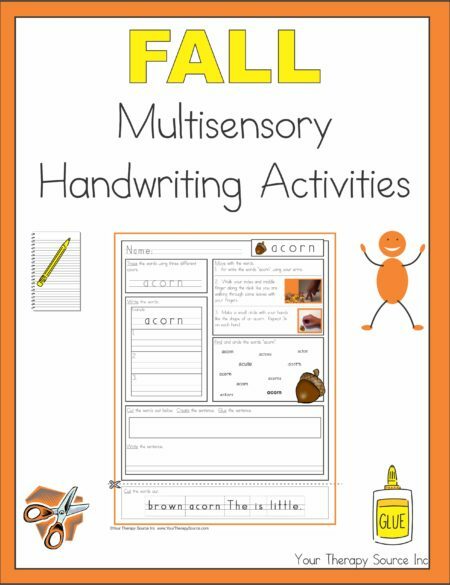 ➜ Developing Vocabulary, Identification, and Categorization skills. 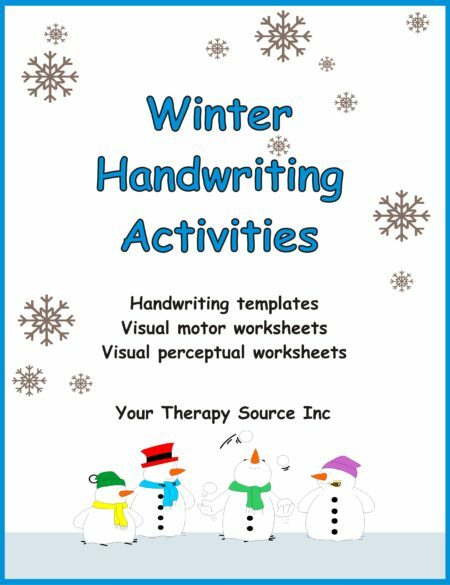 ➜ Using as placemats to improve acceptance and joy in Feeding Therapy and Oral-Motor skill development. 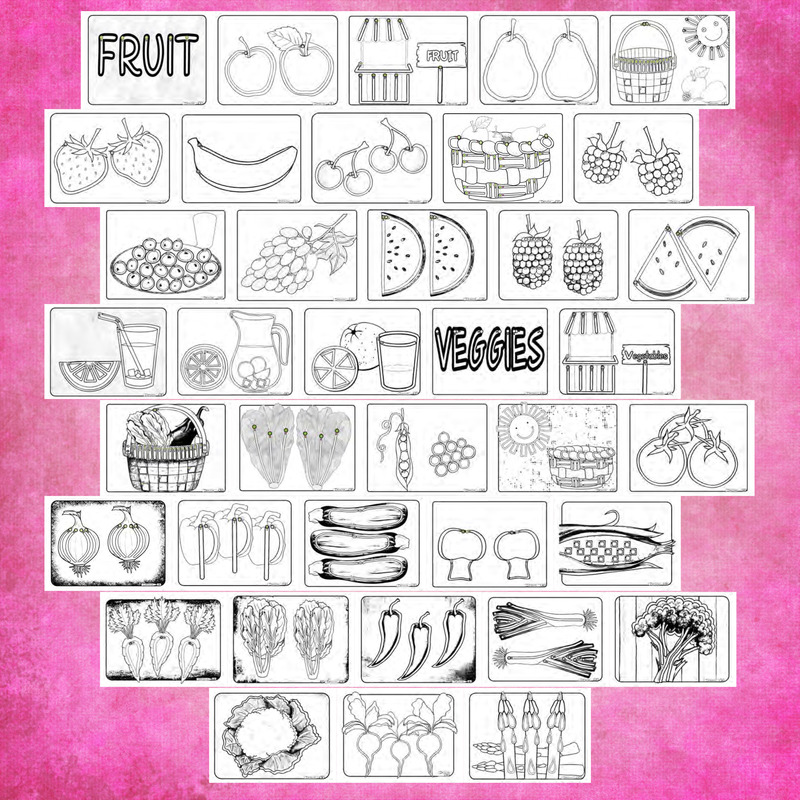 * 18 Fruit-themed activity sheets and 20 Vegetable-themed activity sheets in black and white. 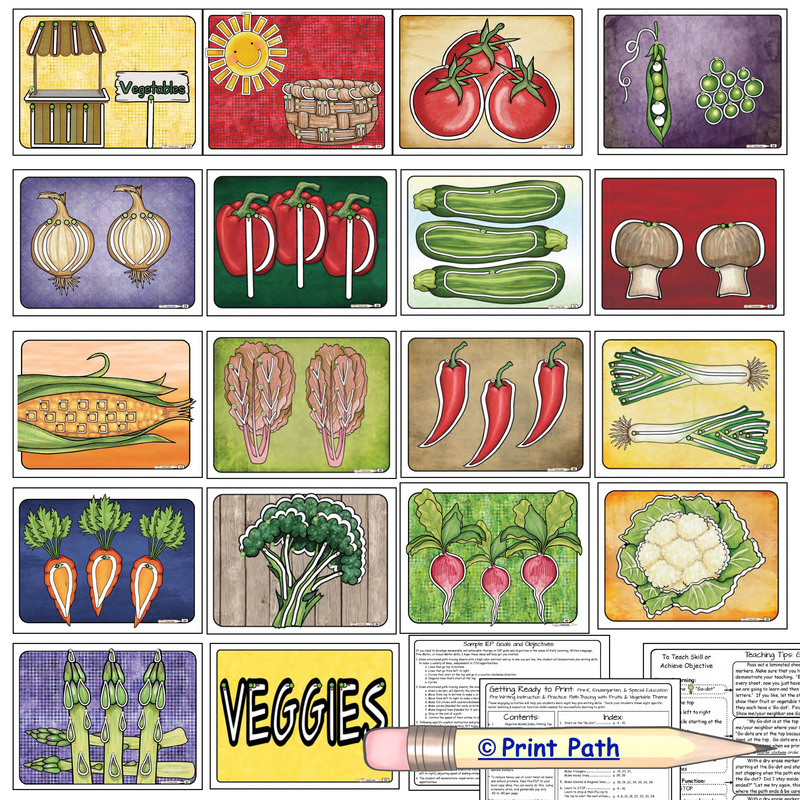 Printing: This product can be printed in color or black and white line drawings. To reduce heavy use of color toner on home and school printers, take this PDF to your local copy shop. 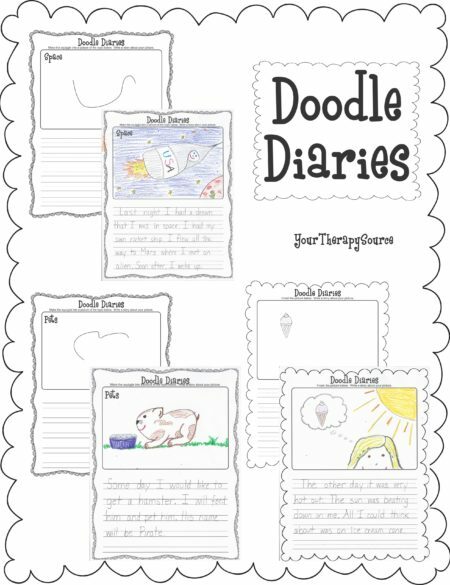 Check out more Prewriting Activity Pages.